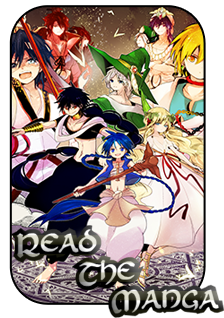 Magi: The World of Magic » Creation Center » Abilities/Traits » OK HECTOR! IM RELOADED! Requirements/Drawbacks:Jahanghir must keep his body in the air as he hones into his target during the leap. Description: Jahanghir perfects the pouncing attack, He pounces up to 15 meters only ever hovering across the ground by 3 centimeters. When he reaches a target he strikes with a powerful open palm, which sends a wave of his overbearing strength through his opponent. This force creates a meter wide hit-box(the area of which his force inflicts damage), and deals B tier damage to anything it makes contact with. Description: Jahanghir lifts his right arm targeting up to an B tier amount of damage to block, which enters within 24 cm of him. While this may block projectiles or melee attacks, they must be physical. No Name: Needs a name, sounds morr like you eant an interupt because a stun isnt really an effect under our systems. Black Lion Pursuit: Range would be long if you lept 15m hovering over the ground. Also sounds both supplementary and offensive. Lower damage if thats your intetion or make requirement for the impact to be you crashing during a leap. Running Hands: Just fix measurement to metric. Bumped. Also, I didnt intend "Black Lion Pursuit" to be supp/offensive. I wasn't trying to describe an effect but rather the way in which the strike inflicts damage. The hitbox is a description of the impact of the blunt force. I can try to word this again if needed. One more thing, Ive edited the drawback on "You want pressure" in regard to Duquin's suggestion. You want Pressure: Seems fine, just don't forget someone could probably heal this away since it's damage to the body technically but not meant as a pure damage ability. Kat William's: Not really sure what the effect of this is. Black Lion Pursuit: I'm fine with this, just know the movement is not enhanced past usual and it's akin to a normal leap. 2. My bad sometimes Im all over the place with these. 3. I just made it so that I could put my feet back down on the ground quickly. 9 Re: OK HECTOR! IM RELOADED!